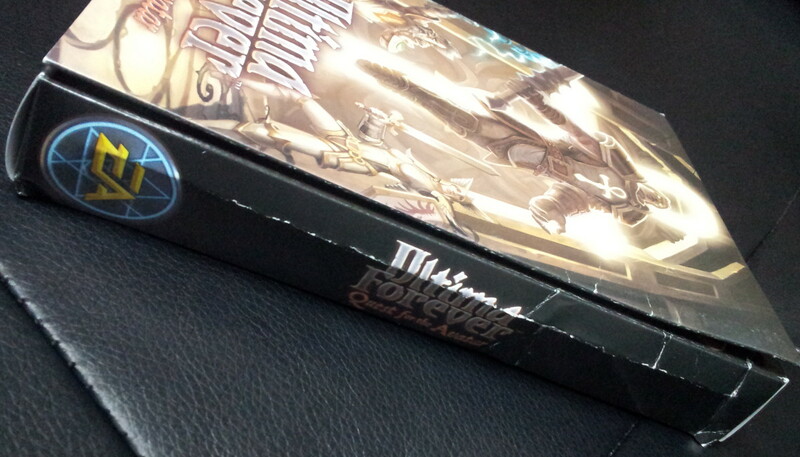 It’s the collector’s edition of Ultima Forever as shown by Paul Barnett on Youtube last month. 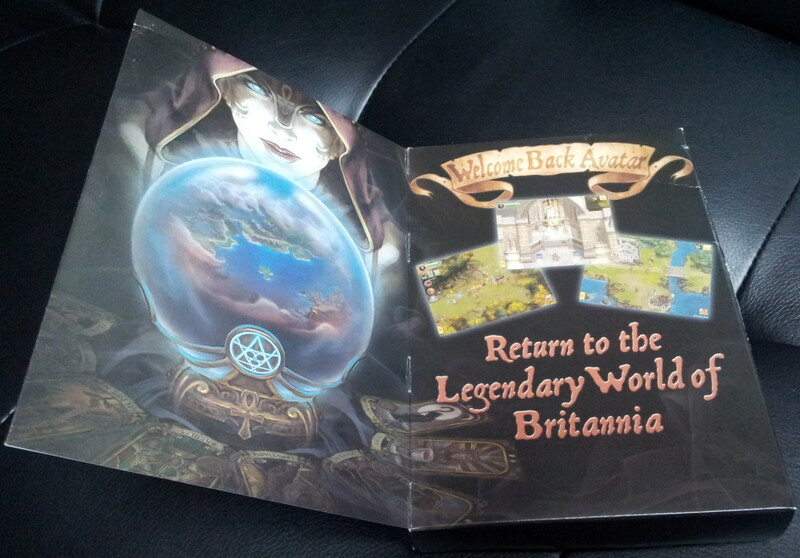 These were initially created for the press and development team but are now being distributed to those who took part (or almost took part in my case) in the Ultima Forever Alpha some time back. We’ve already had a map and set of tarot cards each which was a really nice gesture. I really didn’t expect them to be sending out more but could hardly turn down the offer. 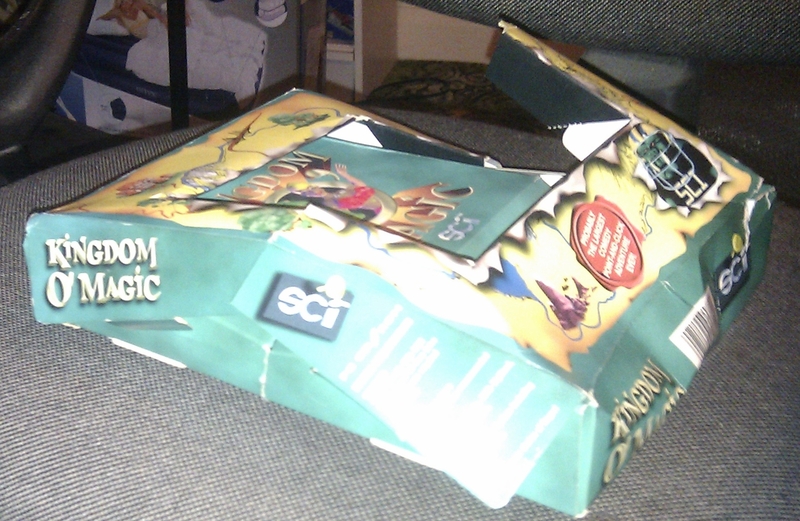 The collector in me hates to see boxes being needlessly mashed like this. The contents at least are pristine with a cover letter, extra large tarot cards, a USB drive credit card (empty) and an all new cloth map with added black weep. The new map material is fantastic quality putting all the older games to shame. 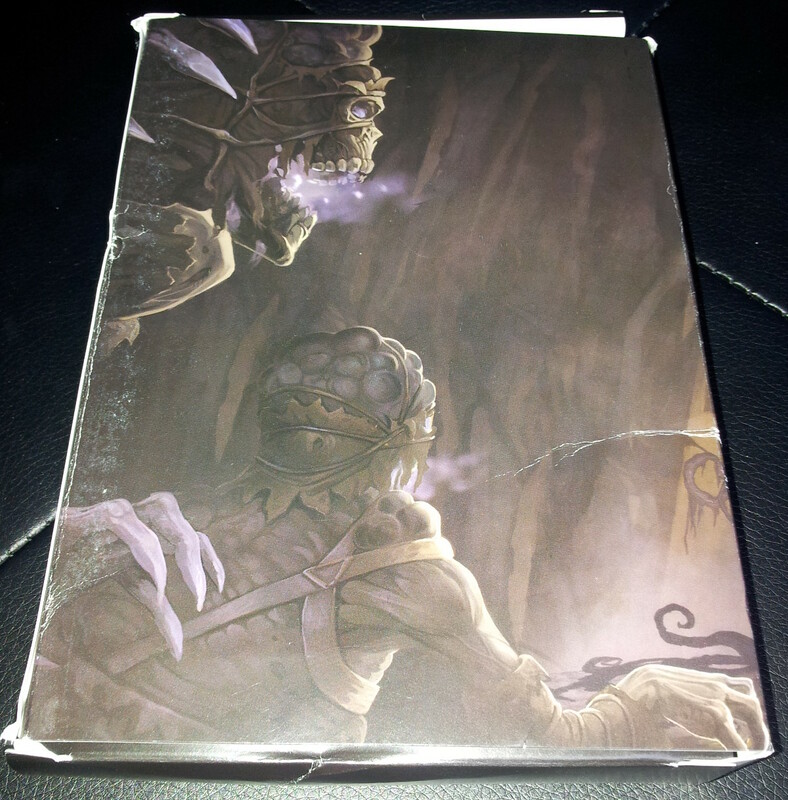 It’s a really nice package and I wish it had been better prepared to make it’s way in the world before being set free but it’s another generous gesture on the part of Mythic sending these out at all. 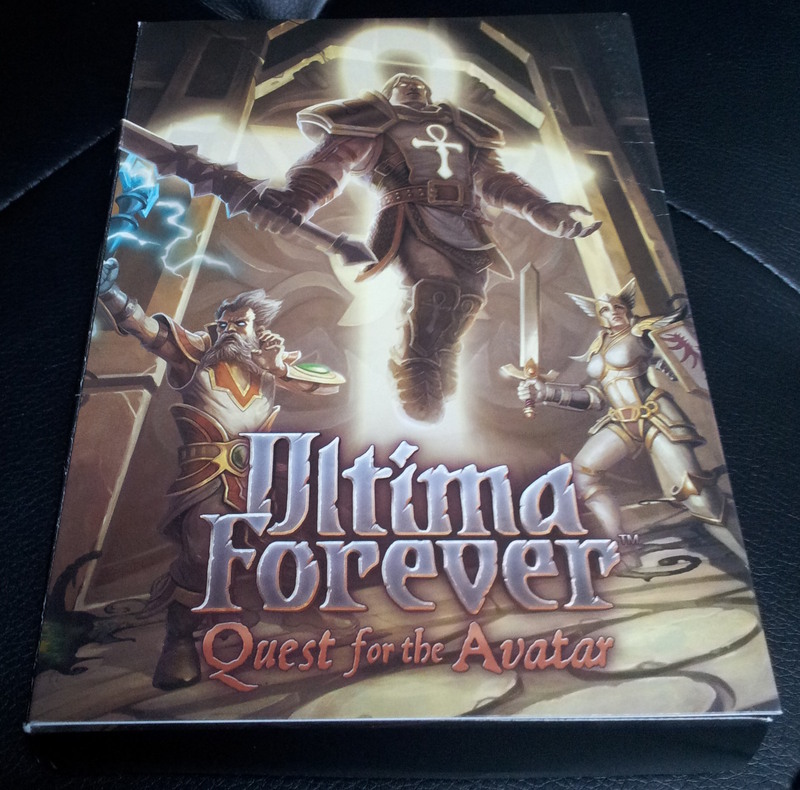 I feel well disposed to Ultima Forever already without having had the chance to play it. I’ll quickly mention that I added a scan of PC Zone Issue #2 at the start of the week. I was going to scan #3 today but instead the Gabriel Knight 2 guide book will be taking its place on the downloads page sometime later. 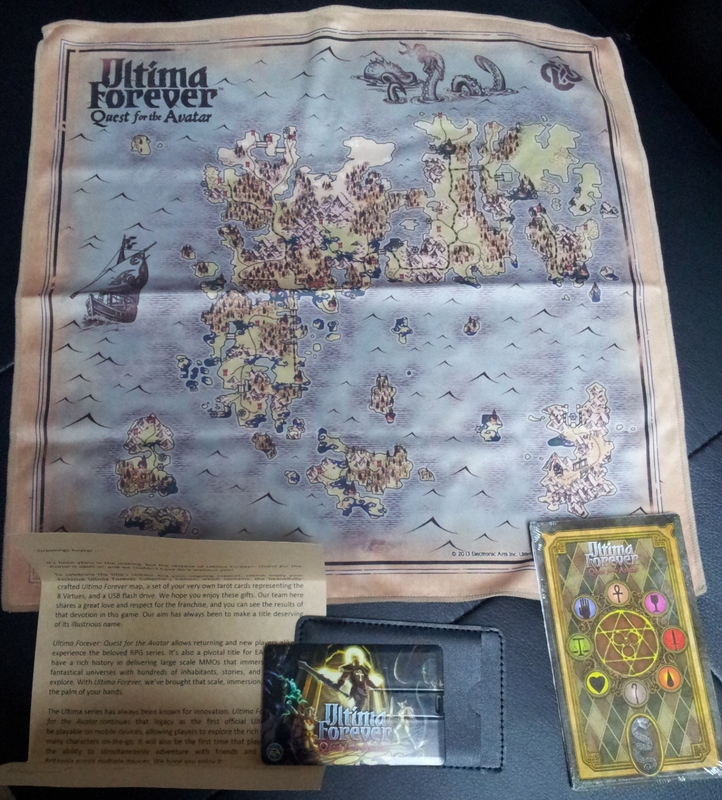 This entry was posted in Origin Related and tagged ultima forever by Pix. Bookmark the permalink. Also, all the times my packages have been opened at customs they have arrived in bad shape…. I really hate how mail packages are treated during delivery….. I can’t blame the postal service for these, they were just too flimsy to survive the packaging. It was naïve at best to send them out like that. I shouldn’t complain though since I hardly did anything to deserve receiving it in the first place and it’s a whole lot better than not having one at all. I’ve only ever had the misfortune of having a couple of parcels opened by customs. They were both trashed as I recall but the last one must have been over a decade back.